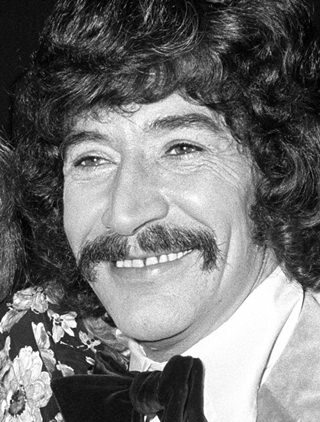 London (AP) — Longtime British television and stage star Peter Wyngarde, best known for his role as the detective Jason King in the 1970s, died last week. He was 90. His manager Thomas Bowington said the actor died Monday, Jan 15 in Chelsea and Westminster hospital in London after an illness that lasted several months. The stylish Wyngarde and the characters he portrayed have been cited by the creators of the “Austin Powers” films as one of the inspirations for the fictional 1960s spy with a flair for flashy outfits and a taste for carousing. Wyngarde was best known for his sleuthing role in the popular “Department S” television series but played numerous other parts, appearing in shows and movies including “The Avengers, “The Saint,” ‘’Flash Gordon” and others. “He was a mentor on everything you can think of, from sports cars to how to make a good cup of tea and how to do a tie and shirt,” Bowington said. Wyngarde’s father was a diplomat. The actor was born in France and educated in several countries before starting his career in Britain.